Facet joint symptoms are not inherent to the various types of zygapophyseal joint degeneration and osteoarthritic accumulations. In fact, symptoms are only experienced in a very small percentage of people who demonstrate apophyseal joint deterioration due to age, activity and osteoarthritis. Symptoms are much more common in patients who have suffered facet joint injury, either due to trauma or surgical intervention. Likewise, symptoms are virtually universal in patients who display the classic hypomobility of rheumatoid arthritis or ankylosing spondylitis in the apophyseal joints. When symptoms do exist, they should correlate to the clinical expectations of the specifics of each patient’s diagnosis. There are several mechanisms through which the facet joints can generate pain, which have been previously detailed in our causes of facet syndrome resource section. When symptoms do not correlate, the accuracy of the diagnosis must be questioned in order to ensure satisfying treatment results and resolution of pain. This background resource section provides a complete analysis of the various possible symptoms of facet joint syndrome. We will examine the logical expressions of various facet joint pathologies, as well as detail why most apophyseal joint aging is completely asymptomatic. Tingling can occur locally in virtually any facet joint diagnosis and may also occur in the region of the body served by a compressed nerve root in scenarios involving facet hypertrophy and reduction of the neuroforaminal opening leading to a pinched nerve. Numbness and weakness will logically follow suit in the innervated region, since the nerve will not be capable of signaling if compressed and will eventually stop transmitting messages between the brain and the body part. Some patients experience a burning sensation in degenerated facet joints. This sensation is exacerbated by movement and might continue after the acute flare-up of pain fades. Some patients experience clicking or popping sounds in the facet joints upon particular ranges of movement. This symptom is particularly prevalent in the neck. Most of the time, these expressions are not harmful, although they can create a nocebo effect that might escalate symptoms or raise general anxiety over the diagnosis. Of course pain is the most obvious symptom. In cases of true facet syndrome involving mechanical pain or compression of the minute nerves within the facet joint, the discomfort should be extremely localized in the affected joint capsule. The idea of referred pain is often debated for its validity since such tiny nerves are implicated as the source. Facet joint neck pain occurs in the cervical spinal levels, most often between C4 and T1. The middle to lower cervical vertebrae are called upon to endure much stress and therefore suffer considerable deterioration as normal parts of their lifecycle. Facet joint upper back pain is far less common than cervical facet pain. When upper back pain does exist from the facet joints, it is almost always located at the cervico-thoracic juncture. Facet joint middle back pain is the least common of all facet joint symptomatic locations. The middle back virtually never demonstrates facet deterioration to any significant degree. If pain is present here, it is virtually always located at the thoraco-lumbar juncture. Facet joint lower back pain is extremely common in diagnosed cases of facet syndrome. The zygapophyseal joints in the lumbar spine are subjected to tremendous stress due to their flexibility, as well as the considerable bodily weight they must support through a wide range of motion. Acute facet joint pain describes sharp, sudden-onset symptoms that can be agonizing and terrifying for patients. It is these episodes that cause most patients to seek emergency care at a local hospital. Facet joint flare-ups are common descriptions of this type of acute and debilitating pain. Chronic facet joint pain can describe ever-present pain that endures for a very long timeline or continuously recurrent pain that flares up episodically over a long timeline. Recurrent facet joint pain comes in all severities and usually causes patients to consider drastic treatment choices to find relief. Excruciating facet joint pain is the exception to the rule and usually entails significant problems in the facet joint. Most facet-originated pain is minor and localized. Facet joint suffering is a cruel fate to endure, but scientifically is still rated lower on the pain scale than most other dorsalgia diagnoses. However, each case of facet syndrome is different and pain can be severe in very rare instances. Facet joint nerve pain describes the compression of tiny nerves in the zygapophyseal joint itself. These nerves innervate the joint and are often compressed due to deterioration of the facet synovial capsule and subsequent growth of bony outcroppings, called osteophytes. Referred facet joint pain originates in the apophyseal joint, but is experienced elsewhere in the body. In cases of pinched nerve roots, referred pain is normal and expected. Referred pain from tiny facet nerve compression is a very controversial diagnostic theory and might not be probable in most suspected cases. It is vital to repeat the most important point of this section: Most facet joint degeneration is not painful, nor will it ever become painful. Zygapophyseal joint aging is normal and structural changes are universally experience by all adult humans. Unfortunately, it is very common that typical levels of degeneration can be used to justify treatment. In these instances, therapies will fail, since they are not directed at the true causation of pain. This really goes a long way in explaining why so many patients do not find relief from facet syndrome despite multiple active attempts at treatment. To learn more about getting on the right path towards a cure, please enjoy the many articles in our resource section covering facet joint pain relief. 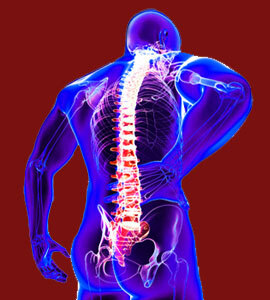 Our proven Cure Back Pain Forever Program can provide relief for facet joint symptoms. You can get help 24 hours a day from anywhere in the world.